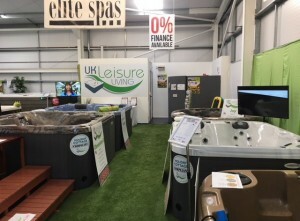 The reigning Hot Tub Retailer Of The Year, UK Leisure Living, was launched less than three years ago but expects to more than double revenues this year – from £750,000 to over £2million. The winner of the prestigious UK Pool & Spa Awards title in 1917, is planning to open new showrooms and increase the size of its team. The scale-up is based on continued growth at its 2,200 sq. ft. showroom in Mochdre where it is on course to sell in excess of 200 hot tubs this year. Alongside this, the company is preparing to launch a satellite showroom at a prestigious location in Wirral with further showroom openings in the pipeline for the next 12 months. UK Leisure Living sells three hot tub brands – HotSpring, Elite’s holiday compliant range and its own River range with prices from less than £3,000 to more than £20,000. The company sells to a mix of domestic and commercial customers with commercial clients including Bourne Leisure and Plas Coch Holiday Park. 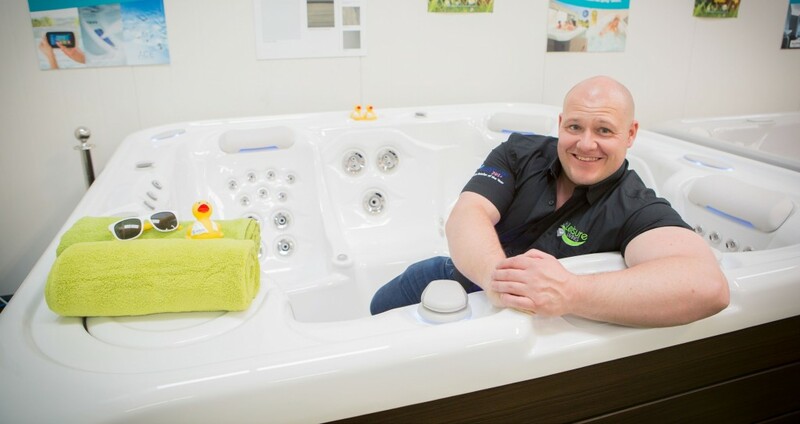 UK Leisure Living was set up in 2016 by North Wales entrepreneur Gareth Jones. Gareth said: “A lot of our customers first experience a hot tub on holiday and decide how nice it would be to have a taste of holiday at home. A hot tub is great for all the family. “We offer a wide range of hot tubs but, for those with a bigger budget, we have premium products made in California by the world’s leading hot tub manufacturer. “In the short space of time since we launched, we have also built up a strong commercial client base with some of the biggest names in the Welsh tourism industry. “There is no doubt the Awards win gave us a huge leg-up in terms of publicity,” acknowledged Gareth. “We now have a plan in place for accelerated growth with our first satellite showroom due to open in a few weeks and further openings planned in the coming months. “This expansion will give us an enlarged footprint covering North Wales, the North West and Midlands.” UK Leisure Living plans to recruit a further six staff across sales, engineering and administration to meet the increased demand, increasing the size of the team to 16. The company is also rolling out a range of complementary products including eco-friendly composite decking and garden furniture.